Water and Fire are powerful forces that evoke a hypnotic energy that can be explored through visual motion and sound. 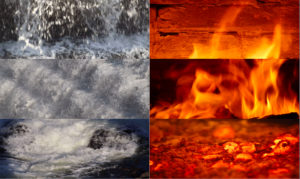 The composition of the frames are representing the top middle and bottom of the Water and Fire images in a horizontal portal. The center frames are the most energetic and powerful of the falling Water and rising Fire. The top frames are the beginning of the falling water and the tips of the flames, while the bottom frames are the end of the spillway and the burning ambers. Using Leap Motion to identify hand motion in the X Y Z coordinates and ATOM as the programable text editor one can manipulate the video images. 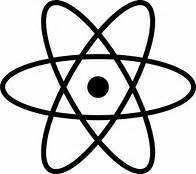 “Atom is a text editor that’s modern, approachable, yet hackable to the core—a tool you can customize to do anything but also use productively without ever touching a config file”.